From the rear side cover: This book came into being as the result of a strange coincidence discovered quite by accident by Trevor Richter and his friend Richard Russell, who had known each other for thirty years and belatedly realised that their fathers, Bob Richter and Jim Russell, both of whom had been RAF flying-boat pilots during World War II, had at one point flown together while serving on the same squadron in the Far East. Sadly, this news came too late for the two former comrades to be reunited or to realise that they had lived within a few miles of one another for the whole of their postwar lives after being ‘demobbed’ at the end of hostilities. Trevor set about discovering all he could about their wartime activities and this affectionate tribute to both men and their achievements is the result. 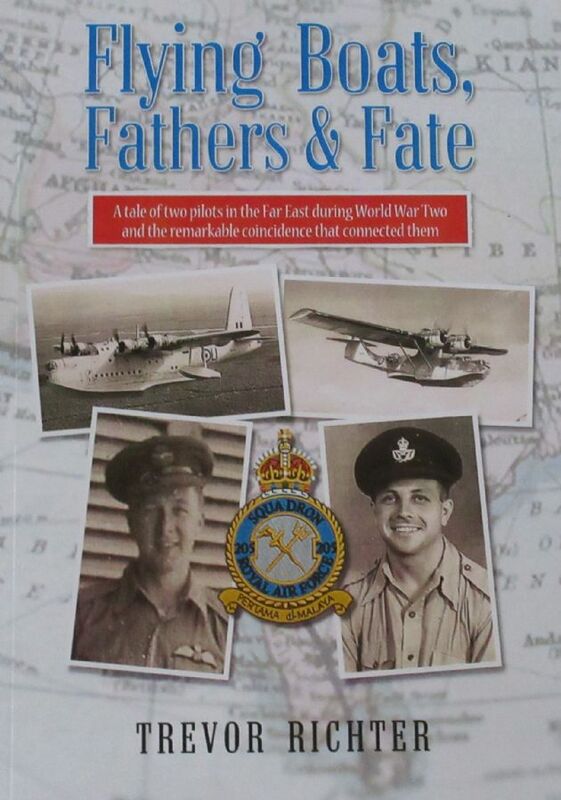 Trevor’s research led him to discover more about the theatre of war in the Far East, the Short Sunderland and Consolidated PBY Catalina flying boats that Jim and Bob flew and the squadron to which they both belonged at one time – No. 205 Squadron RAF – stationed at Koggala on the island of Ceylon. Flying boats have a particular fascination for aviation enthusiasts and the Sunderland and Catalina are both legendary aircraft in this respect. Their long range and ability to land on water made them particularly useful in the Indian Ocean, where distances between destinations could be huge and proper airfields were few and far between, whereas estuaries, lagoons and rivers, where flying boats could land comfortably, were plentiful. Trevor deftly places his account Bob and Jim’s personal exploits into a wider context by juxtaposing them with major events occurring as the two young airmen underwent their training and made their separate ways to the Far East and their eventual meeting. In doing so he gives us an illuminating overview of the war and the way in which so many thousands of ordinary young men from all walks of civilian life were called upon to do extraordinary things.